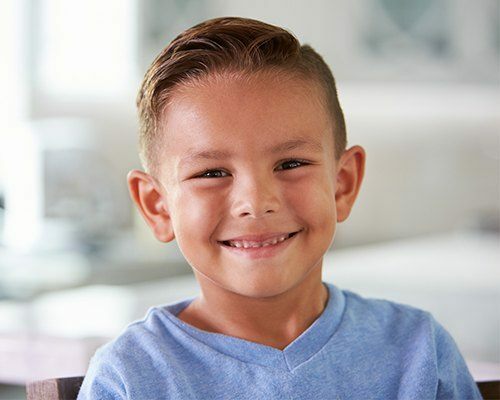 At the Family Dental Center of East Texas, we want you to know that there’s no need to seek out a separate dentist for your son or daughter’s developing smile. Dr. Youngblood and Dr. Martinez are happy to treat babies, toddlers, teenagers, and every age group in-between! We want to help your loved one develop a positive relationship with the dentist’s office right from the beginning, which will hopefully lead to a lifetime of bright and confident teeth. Ready to schedule a visit? Contact us today in Center, TX. Why Choose Family Dental Center for Children’s Dentistry? A thorough cleaning by one of our skilled professional hygienists to check for any signs that a patient is neglecting specific areas and help them improve their at home care. A conversation with you and your child to discuss a treatment plan to keep their smile whole and healthy for a lifetime. Don’t hesitate to contact us between these regularly scheduled appointments if your child shows signs of oral health concerns. We’re happy to help when our patients need us. Simply give our knowledgeable dental team a call, and we’ll fit you in as quickly as possible. We try to see dental emergencies on the same day whenever possible. 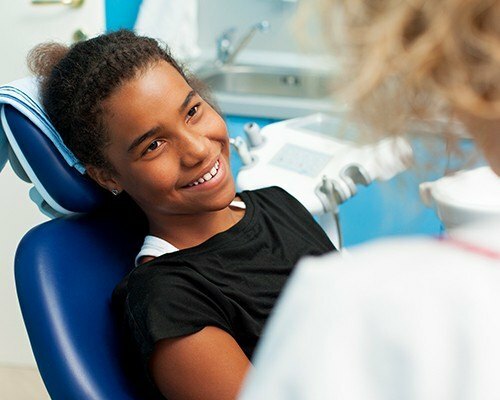 If your child experiences stress or anxiety related to visiting the dentist, let us know ahead of time. 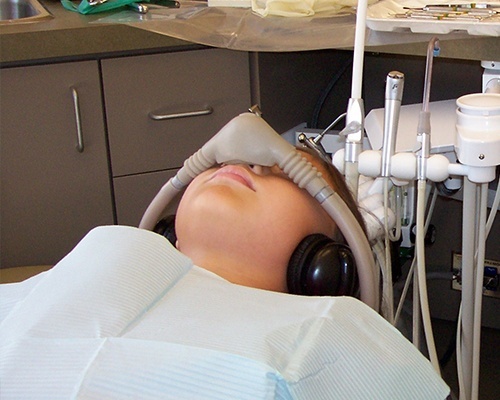 We are happy to discuss sedation dentistry in order to safely and comfortably treat your child. Dental sealants are a simple way to keep smiles whole and free from decay, and this fast solution can be applied as part of any dental checkup. We simply apply a layer of sealant to the surfaces of the teeth that are most at risk for decay, and this usually means the back teeth that have deep pits and grooves that trap bacteria more readily. Once a sealant is applied, it is hardened into place creating a barrier between the teeth and decay-causing bacteria. As teeth are formed, it’s essential that children absorb enough fluoride in tap water and their diets to help them develop strong enamel. Once the teeth have erupted, ingested fluoride is no longer as important as topical fluoride for the protection of patients’ smiles. This is why most toothpastes and mouth rinses include fluoride. However, for those kids who struggle with decay, topical fluoride treatments may be recommended as part of every six month checkup. Applied quickly, these treatments attract fortifying minerals between visits, strengthening the teeth and preventing decay. Did you know that over 90% of the United States population will experience a cavity over the course of their lives? Despite our best efforts, tooth decay can be tough to avoid, especially for younger patients who are still learning how to brush and floss. Thankfully, a tooth-colored filling can help repair any damage, alleviate discomfort, and get your son or daughter back to smiling as soon as possible. In most cases, we’ll work hard to help your child retain their primary (baby) teeth until they fall out naturally, and our goal is always to help patients keep their natural teeth for life. However, there are some situations where extracting a tooth is the best option for a patient’s smile. In these situations, we’re happy to offer tooth extraction in our practice. 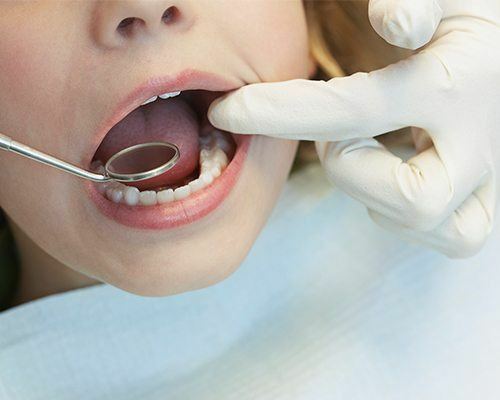 Depending on the location of the tooth and how firmly embedded it is in a patient’s gums, we’ll plan the easiest and most comfortable extraction for your little one. 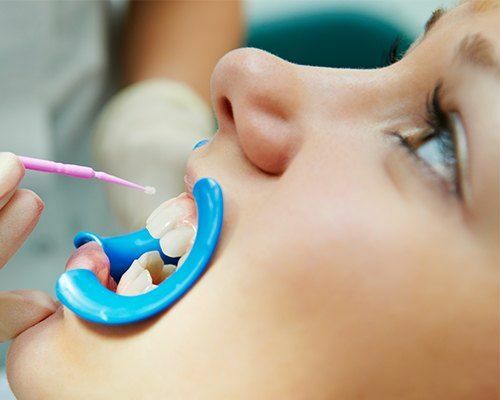 We also offer oral conscious and nitrous oxide sedation to help patients relax and reduce any discomfort associated with the extraction process. In some cases, general anesthesia with out-patient day surgery is recommended. We often hear from parents who want to know more about when they can expect “baby” teeth to emerge or fall out as well as when the adult teeth can be expected to make an appearance. Every child is different! Our doctors will be happy to review the proper developmental milestones with your family and make sure that your son or daughter is on the right track towards a complete, confident smile. A dental crown (also known as a “cap”) is designed to fit over the visible surface of a tooth in order to protect it from harm and rebuild any damaged/infected portions. 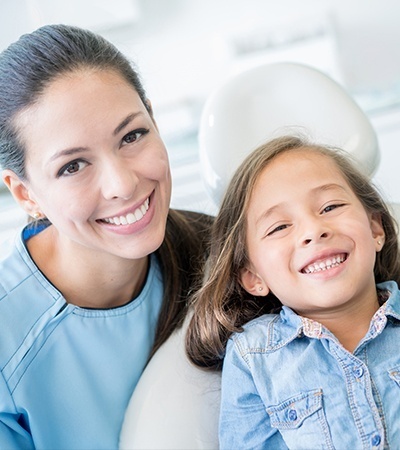 At Family Dental Center of East Texas, we offer this restorative service to children who may have suffered serious injuries and/or tooth decay. When possible, our dentists recommend all-ceramic materials for a more natural-looking and biocompatible smile addition. 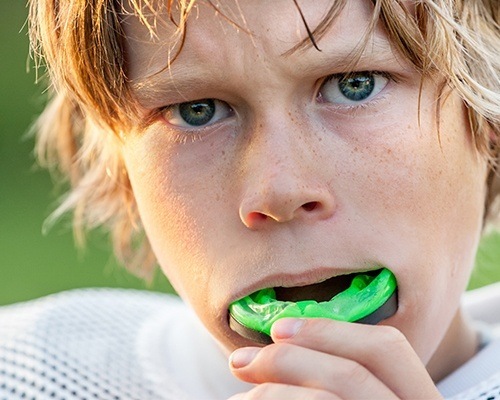 If your children participate in any athletic event where their smiles may come in contact with other players, hard surfaces, or sports equipment, it’s important that they protect their teeth by wearing athletic mouthguards. While there are various options available in sporting goods stores, these are often less comfortable and effective than those solutions crafted by our skilled dentists. We use impressions of patients’ actual smiles to custom craft a mouthguard that will fit comfortably. Caring for brand new smiles is one of our greatest joys. Infants and toddlers are fun and funny, and building a lifetime of healthy smiles from this young age is an important part of our practice. Your child’s first visit, around the age of six months, will be painless. We’ll carefully examine any erupted teeth as well as developing dental structures to look for areas of concern. We’ll also answer any questions you may have, make recommendations for at-home care, and work with you to make sure your child has a solid foundation in building a healthy smile. Before your infant develops teeth, we recommend gently cleaning their gums to keep them healthy. Once your child has a single tooth, you should begin brushing it two times a day, and as soon as they develop two teeth next to each other, it’s time to start flossing. As kids grow, we begin to offer treatments to protect their primary teeth. These teeth reserve the space for the developing adult teeth, allowing them to erupt in their ideal locations. 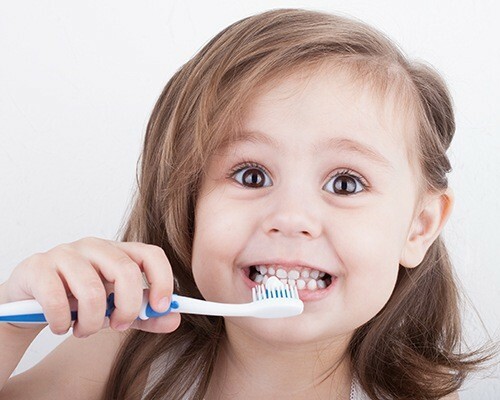 Caring for primary teeth sets your child on the path to a lifetime of healthy smiles. 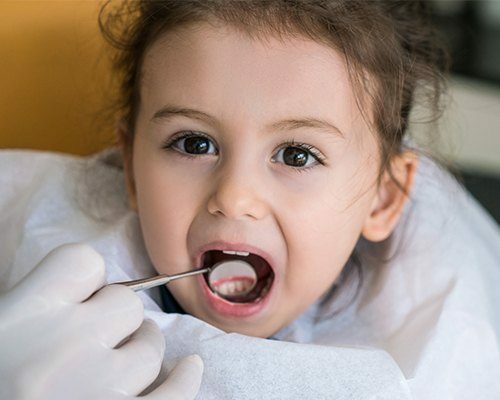 We’re happy to work with kids to develop great brushing and flossing skills, and we may recommend topical fluoride treatments or dental sealants to fortify and protect their teeth. After all of the permanent teeth erupt, we’re happy to help your child continue building great oral health habits as they move into their adult life. 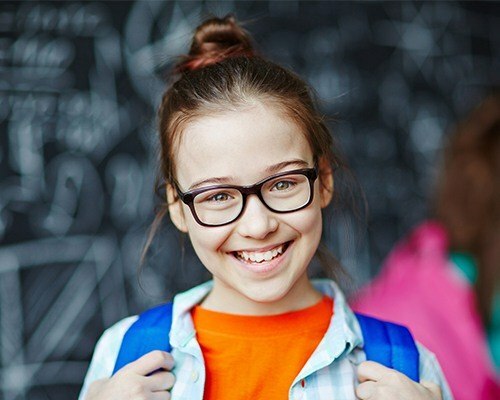 Teens have a number of unique concerns that may be addressed at our office including wisdom tooth eruption and/or extraction and orthodontic treatment. Once the wisdom teeth have erupted, we take time to evaluate their place in a patient’s smile to determine whether there is adequate space to accommodate this third set of molars. When these teeth are impacted (unable to erupt from the gum line), we will likely recommend to have them surgically extracted. If we notice your teen’s teeth are in need of realignment, we’ll work closely with an orthodontist to correct their smile with braces or other orthodontic treatments. 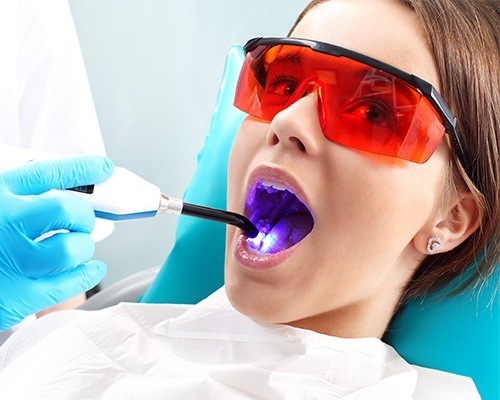 Our dentists have years of experience offering customized treatment plans to ensure the health and safety of those patients who have special cognitive, physical, or behavioral needs. 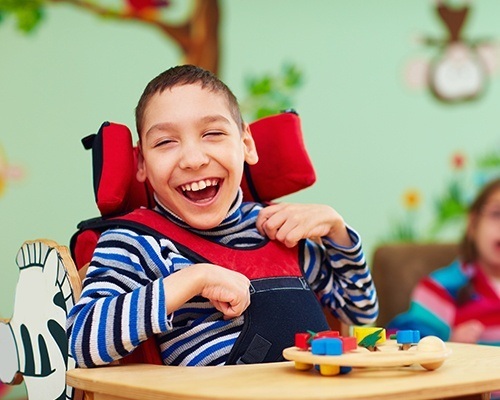 We’re happy to offer accommodations whenever possible, answer questions patients have about their treatment options, and work in partnership with parents to ensure their children get the dental care they need in a safe and relaxing environment. We understand – children can often become agitated or fearful in the treatment chair, despite our friendly team’s attempts to create a pleasant environment. If your son or daughter needs a little extra help to undergo important care safely, sedation dentistry can go a long way. We offer several levels of professional sedation, including hospital-based care for special cases. Your loved one’s safety and comfort always come first!